The president is confident there is no fair trial in Russia. President Petro Poroshenko has promised to do his best to bring home Ukrainian pilot and MP Nadiya Savchenko, who risks spending 23 years in a Russian prison. "I would like to recall a woman who became a symbol of Ukraine and Ukrainian women all over the world. Her actions and behaviour make a huge deal for Ukraine," he said at a ceremony to award Ukraine's prominent women. "We will double our efforts to bring Nadiya back home. This is very important, important to me, to Ukraine and every one of us," he commented on Savchenko's decision to go on a "dry" hunger strike. "This farce should not continue at all," he said. "I read her speech which was to be read out in court. 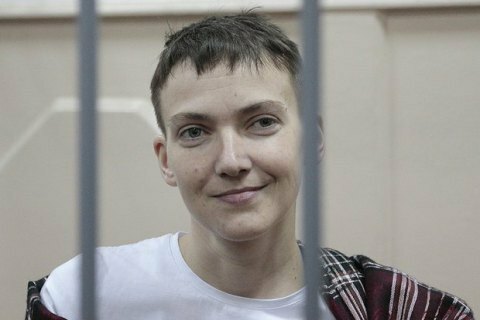 The unbreakable will of a Ukrainian woman, not just this but a Ukrainian officer who did what every Ukrainian has to do, which is to defend their homeland," Poroshenko said, describing Savchenko as a "true hero" who enjoys strong support at home. Around 1,200 women have been involved in the antiterrorist operation in the east, according to him.